Mr. Srinivasan is the founding leader of FrontEnders Healthcare Services Pvt. Ltd. Clarity in perceiving the various entailed pragmatic hitches that are par for the course of the present-day healthcare management services and the innate problem solving capacity are the professional virtues of Srinivasan. 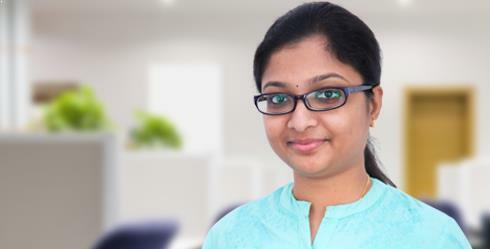 She is the co-founder of FrontEnders Healthcare Services Pvt. Ltd. She comes from a traditional business family and possesses a sharp awareness on business matters. This is Kavya’s key strength. Moreover, she has more than half a decade of rich industrial experience in hospital consultancy services. With the backup of 22 years of professional experience in diverse hospital administration (both national and international), Joshua has matured himself to a realistic global healthcare professional. He is pragmatic, innovative, and result-oriented. Charismatic and propitious in nature, Mr. Anban Xavier has about sixteen years of rich experience at various levels of Healthcare Sector. Completing his Bachelors in Law, Mr. Anban had started his career as an Agency Manager in ICICI Bank. Angayarkanni is proficient in ‘Search Engine Optimization & Social Media Optimization ’. She has an impressive professional experience in internet marketing. This has provided her a thorough awareness regarding the changed scenario as far as the web marketing arena. 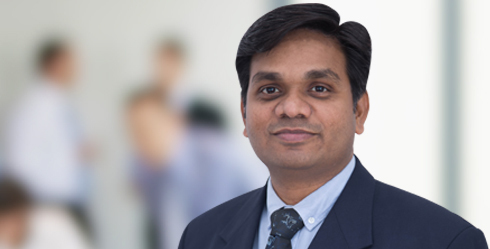 Karthikeyan is a resourceful healthcare executive having focused acumen on the subject of healthcare service management. Before joining FrontEnders Healthcare Management Services. Prabhagaran is our ‘Senior IT Developer’. His subject interests include software development, programming, and web designing. He knows the ins and outs of the prevailing trends in the web creation arena and in the proper management of the same. He believes in updating his theoretical and practical knowledge frequently. Asha Margaret takes care of the branding and marketing needs of the FrontEnders. Projecting a zeal for unleashing the new paths in branding and marketing, particularly in the healthcare sector, Asha possesses a unique ability of thinking in various dimensions. This very nature has forced the Bio-Medical Engineer to pursue an MBA in Marketing from one of the reputed Universities in India. Accounting is not just a mere profession for Venkatesh Mahadevan; for him, it’s a passion. His keen accounting abilities will make your monetary management meticulous and easy. Sound analytical capacity and the competence in solving the diverse kinds of financial problems are his professional specialties. A.M. Mohamed Ibrahim possesses a rich blend of the three main attributes of a competent leader, namely, excellent physical/mental fortitude, positive approach, and high presence of mind. The rich industrial experience of more than three decades in different management cadres makes him a true team leader and a modern management guru. Academically, he is a Cost Accountant. TRM, as he is commonly known, is a Graduate in Science and holds a Post Graduate Diploma in Business Administration. He is an expert in Strategic Marketing. He has a solid industrial experience that spreads across more than four decades.